Valley water travels through various filters and screens on its way to water users. The quantity and quality of these depend mainly on the city or municipality. Also, sometimes there will be a break or that particular area may ‘flush out’ their lines, which means it comes to the consumer. 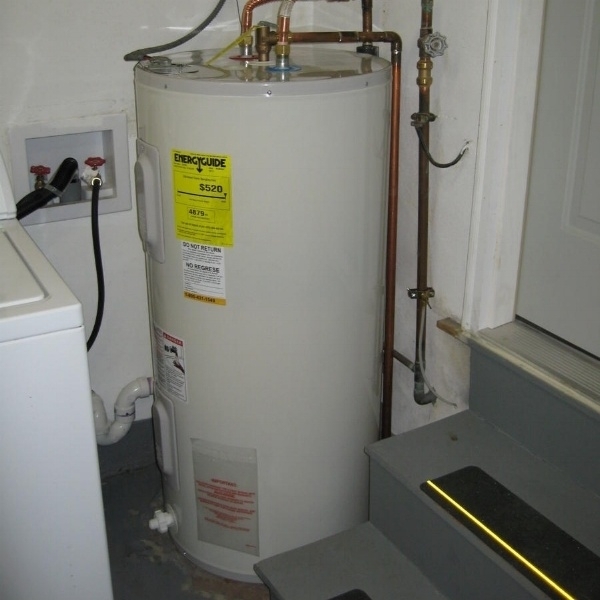 A homeowner won’t know how often to drain their hot water tank until they do it to see how much sediment has built up in the meantime. In some tanks, it’s almost nothing. Other tanks can accumulate several inches of sediment--enough to block the spigot--in the same amount of time. After it is drained the first time, the quantity of material offers a pretty good idea of how fast the sediment collects. But, if it happens in an area of the Valley where there is a break, or they flush the water line, the tank could have a significant amount of sediment suddenly appear. Turn off the power to the water heater. Shut-off is not optional because if it's not shut off can burn up the water heater. Turn off the water going into the water heater. Otherwise, it will continue to fill as it drains. Connect the hose to the drain valve, which is a spigot at the bottom of the hot water tank, and run the other end someplace where it’s reasonable to let the water drain. Since the water will have sediment, don’t siphon it into a garden or a place where there is plant material which might be sensitive to calcium. Some people have a main drain. Turn on the drain valve. Let it run until the tank is empty. Most of these spigots are angled and poorly designed to remove the sediment--remember, they’re devised by the hot water tank manufacturers, who are much more interested in sales than proper water heater maintenance!